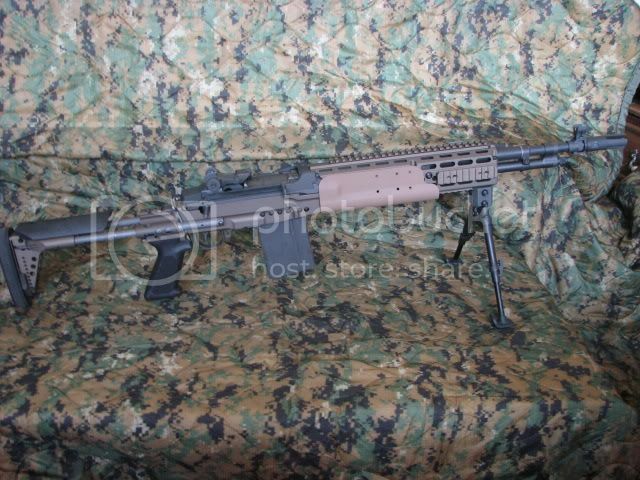 I have a new online journal regarding the Sage EBR in which the U.S. Army already is using the sage model TACOM M14EBR-RI. I am a Civilian and I am a enthusiasts for the Sage EBR. I want to share and invite this online journal to the US Army community here to whom some of you were or already been issued such a weapon. Your input, experiences to this online diary would be greatly appreciate to all civilian and Military personal you reads the commentary. Comments can be submitted to the U.S Armed Services Personal Journal Category and or if you want to submit your own commentary, you can submit a whole new category about yourself and your rifle. Please include your first name only, rank, and duty station where your sage variant rifle was issued as your primary weapon. 2) Your commentary and description of your photo if possible. I will then edit and published your journal and resize your photo to the appropriate size as needed. I'd love to shoot one. I'll ask my son if he ever had the pleasure. He was an Army Ranger & left active duty about 2 years ago but is still in the Reserve. The one thing about the Rangers - they never give any details about the weapons they use unless it just a run-of-the-mill M 4, etc. Is it in 7.62 caliber or is it 5.56 NATO? Is that any relation to the standard M 14 issue rifle pre-M 16? Most military weapons are nowadays. That's a standard 7.62x51mm M14 in a Sage stock. 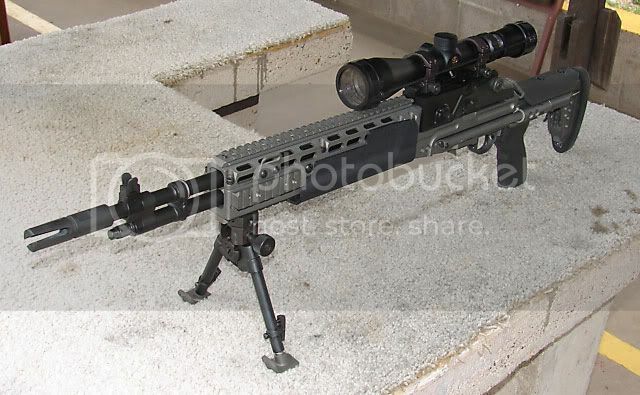 The Army types it as the M14EBR-RI. The rifle action, trigger and barrel are all steel, and the body of the stock is machined from 1 solid block of aluminum . Only the pistol grip and handguard, cheek riser and buttpad are polymer. And the rifle strips down just like the wooden stocked M14s you may remember, Top. My sage rifle is the early U.S. Marine M39 EMR Stock. I had her built in 2009. 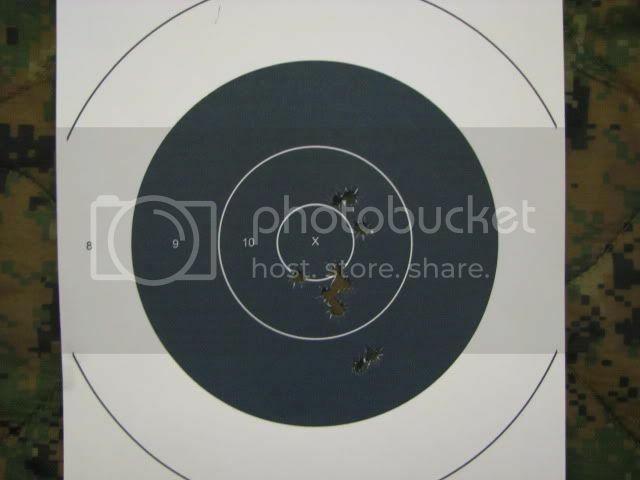 Here are more photos and a range report as I had Miss Lauren zeroed in with iron sights. The shooting complex I shot at only has up to 100yds for paper targets. Last edited by M1A96819; 04-25-2010 at 10:28 PM. that thing looks gorgeous =) my father really likes guns. always has a large collection. I bet your Dad is in Montana, too. Jared. Doesn't everyone have a firearm there? - It's expensive; Fulton armory has the EBR stock available for $809-, and the clip guide scope mount will run you $60- more. But it is a cool looking setup, I'll give you that. And that's a good looking website you've set up, Lester. Well done!